Sarah came to Xurli with a strong background in customer service and stands by the motto of always putting the customer first. She originally came to Xurli as a customer service agent in Google listings fulfillment, but quickly became the sole citations account manager. As the department grew she became the Citations team leader. In the past 2 years, Sarah became an expert in digital marketing, focusing on the citations program, which helps businesses get local exposure on Google. 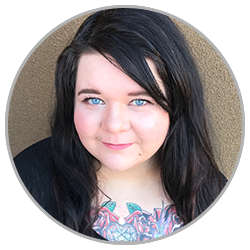 She graduated from Northwest College with her A.A.S in Photographic Communications in 2013. Sarah is from Billings, Montana and moved to Southern Utah 2 years ago. In her spare time she draws from her other talent of photography, taking beautiful images of southern Utah. Sarah also loves animals and spends some of her off time tending to her pet rabbits.